Again we ask, Welfare to What? Twenty years after “ending welfare as we know it” with the passage of the 1996 Personal Responsibility and Work Opportunity Reconciliation Act, the current administration issued an Executive Order on April 10, 2018 to Reduce Poverty in America by Promoting Opportunity and Economic Mobility. While the Administration’s Order is more suggestion for Federal departments of government, the National Coalition for the Homeless [NCH] was strongly opposed to the 1996 law and is equally strongly opposed to the direction of the Executive Order, and any attempt to enforce work requirements on social benefits, including food assistance (SNAP) and Medicaid. The reality is that the 1996 legislation and now the Executive Order goals language is code for reducing the welfare rolls even further by slicing benefits, imposing further work requirements and mandating further time limits on welfare programs. It is clear that the direction of the Executive Order, and potential work requirements being considered for access to food assistance (SNAP) and Medicaid, is punitive and does nothing to promote self-sufficiency. At a time when our wages are not keeping up with the cost of living, the only direction of economic mobility for many will be downwards, in some cases leading to homelessness. many families are denied cash assistance through little or no fault of their own; states often penalize families without assessing their ability to complete required activities. Twenty years later, the 2018 Farm Bill with significant changes to SNAP [Supplemental Nutrition Assistance Program, or Food Stamps] proposed by House Agriculture Committee Chair Michael Conway is the testing ground for the broader direction of the 2018 Executive Order. Clearly the current administrations goal is to “leave no billionaire behind” while punishing low-income people. We ask the same question of the Executive Order as we did 20 years ago: Welfare to What? NCH does not believe the current false rhetoric of economic mobility and expanding opportunity. We know better. We know that the real direction of work requirements as welfare reform is punitive and the results will be increased poverty and homelessness for children and families, disproportionately impacting people of color, especially African-Americans and Native Americans. NCH stands ready to partner with local, state and national organizations to demand the real direction of any reforms to welfare results in living wage employment and truly affordable and accessible housing. Many of us providing services in the early 1980’s to people experiencing homelessness warned our political leaders and faith community that if we didn’t make structural changes, we would be in the mess we are in today. Yet in 2017 media and society continue to blame people for becoming homeless. In reality, over 1/3 of our country is 1 to 3 paychecks away from not making rent or mortgage payments, and 50% of our American population has a mental health and/or chemical health issue. If you have money, you have housing. If you don’t have money, you are at risk of homelessness, especially if you have any personal health issues! Limited moral outcry to love and treat others as ourselves. Housing is treated as a commodity, not a basic need. In Minnesota, through our tax expenditure budget, we will subsidize primarily white homeowners over next biennium over $1.5 Billion (Mortgage interest, tax, capital gain write offs). We are fighting to just keep $30 Million to address the disparity in homeownership between white and non-white persons. We are the 3rd worst state in the country in this disparity. Lack of or no enforcement of our civil rights and fair housing laws – Disparities against minorities and across income levels continue to increase. Wages are not livable incomes (from jobs or public assistance). If you have money, no matter what other issues you have, you can get housing. Demolition of housing without replacement. Tax code change in 1986: Drove out of business our ma and pa landlords, complicated the housing development process, and required sophisticated and well-funded investors. Credit Expanded in 1970s – Buy now, pay later became the norm. Debt increases. Disinvestment in opportunities for people with limited resources in housing, jobs, social services, education, health care. Dismantling the mental health asylums without creating the promised community housing. We capped domestic program spending, and pitted them against each other while we built up war and defense budget tax breaks for wealthiest. This began in the 1970s, expanded in the 1980s with President Reagan and a Democratic Congress, and has continued to NOW. Scams in the housing industry with little or no consequences for the perpetrators: our financial institutions, realtors, title companies. We have had over 150,000 foreclosures since 2007 in MN. To rent housing, a criminal, credit, and rental check is almost always completed. Anything on your record may keep you out of rental housing. Only a credit check is done when you buy a home and that is not done if you buy with cash. 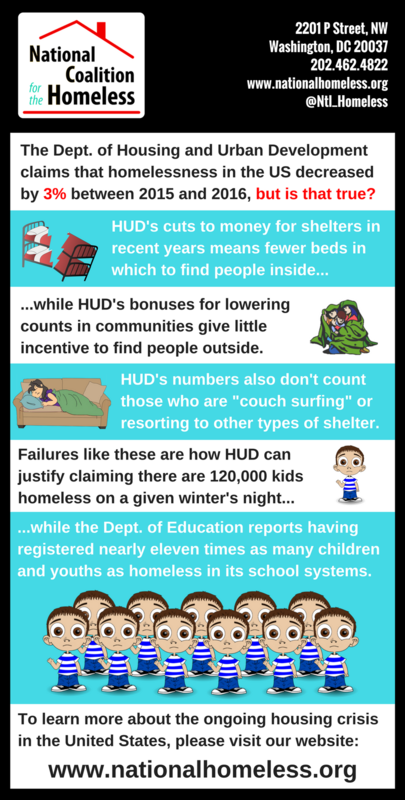 Over the last 4 decades we have continued to experience the ongoing growth of homelessness as we fail to address the structural causes of homelessness. Homelessness is caused by our inequitable structural issues, not just people’s personal issues. We must invest in equitable solutions, which include a balanced continuation of: Housing and Affordable Housing, Rental and Homeownership, the Common Sense Housing Investment Act HR948, livable incomes (wages and public assistance), accessible, affordable, culturally appropriate health care, human services, and transportation, excellent educational and job training opportunities, and assurance that everyone’s civil rights are respected, protected, and enforced. make the structural changes needed to bring our community, state and nation home and live out our pledge to be One Nation, Under God, with Liberty and Justice For All!